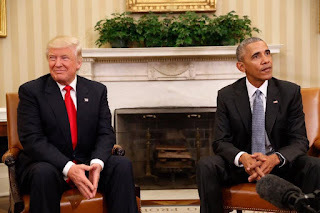 "NO SALARY, NO BEAST,NO ALLOWANCES but OBAMA CARE will be Implemented " Says TRUMP - Bana Kenya News, Real African Network Tubanane. The United states president-elect Donald Trump plans to settle in his office next year January. President Trump family have been planning on what will constitute the inauguration day in Washington. President-Elect Donald Trump visited President Obama yesterday at the Whitehouse. The news that shocked the world is when Trump said will not accept or take any wage as a country president. The salary offered was £320,000(KSH 3M) per month. TRUMP with $3.7 Billion estimated wealth plus accrued properties did not accept the offer and said that money will assist Americans who do not have jobs. Donald Trump said, "I will be the president of the people not to be paid while Americans do not have jobs." The Trump salary was reviewed by the American congress from $400,000 Obama salary. It is expected that Donald Trump will inherit " THE BEAST" that general motors manufactured to beef up Obama security. At first, Donald Trump refused the pleasure that American president got but later he only accepted "THE BEAST". The 45th president who did not have any governmental, parastatal or Military experience is the only President of that calibre in the History of America. Most countries are already planning to repair their relationship with the US, these include Syria, Russia, Israel, Ireland, Mexico, and Canada.